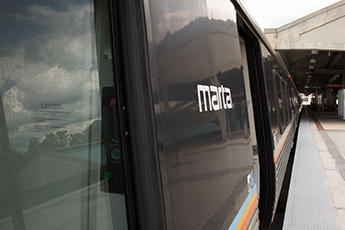 The Metropolitan Atlanta Rapid Transit Authority (MARTA) Police Department has teamed up with the Federal Emergency Management Agency (FEMA) to help commuters and employees prepare for winter weather. From extreme cold to freezing rain to ice and snow, winter weather in metro Atlanta is not uncommon. However, a 2016 FEMA survey found that only 45 percent of respondents had an emergency plan that they had discussed with their families, even though 80 percent of Americans live in counties that have suffered weather-related disasters since 2007. As part of a public awareness campaign, MARTA Police will share daily winter weather tips in conjunction with FEMA on their social media sites during Georgia’s Winter Weather Preparedness Week which takes place from December 3-7. Additionally, the MARTA Police Department’s Emergency Preparedness Unit will be sharing this information with all MARTA employees. The goal of this campaign is to get employees and commuters better prepared for winter weather by encouraging them to take action by learning about the daily themes. MARTA is the first public transit agency in the nation to work with FEMA during the National “Preparathon” for Winter Storm Safety.